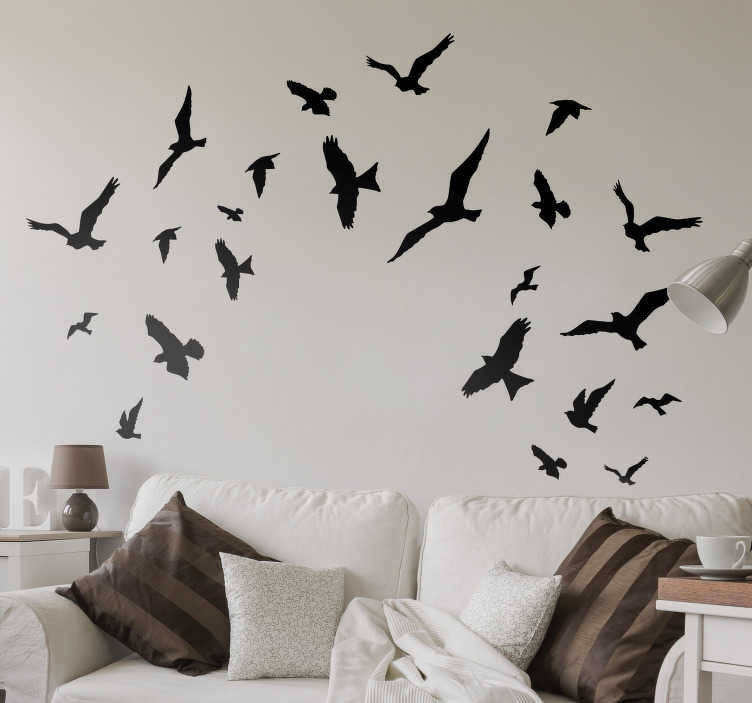 Decorate the walls of your home with these flying bird stickers that will fit any wall. Choose the colour that best suits you. 16 bird stickers to adapt as you like to your home. Some feature a simple and elegant filigree flower inside to create a textured effect. The birds will give your home a fun and original feel, that is unique and different from any other room space. The stickers are easy to place and easily adapted to other vinyl murals.